Google is getting out of the credit card business and we have recently changed to Paypal. We apologize for any inconvenience this might have caused. We appreciate your patience with this matter. 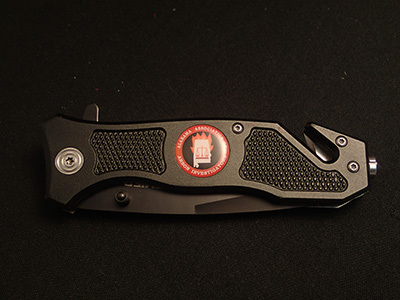 Folding Knives with A.A.A.I. Emblem. 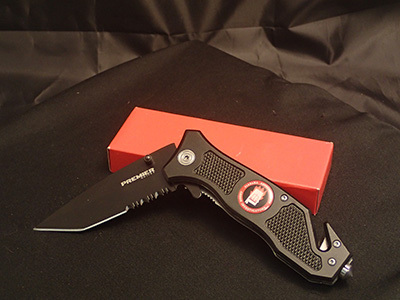 Knife has seat belt cutter, glass breaker and locking blade for safe use. 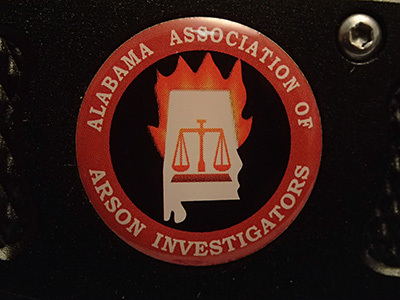 Closer view of emblem, which is set into side of handle. These knives are a special item and will only be for sale at the A.A.A.I. table during the seminar. Membership renewals are due January 1, each year. Greg Ross is Chairman of the Training and Education committee. Please contact him with suggestions or ideas for training.